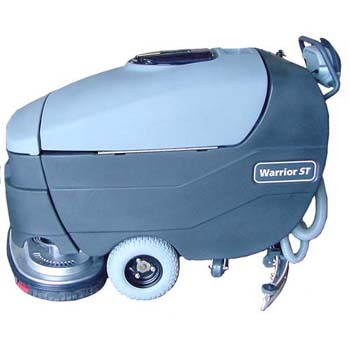 The NILFISK-ADVANCE WARRIOR 32D is a battery powered auto scrubber. The simple controls are ideal for operators of all skill levels and reduces training time. The control buttons offer three pressure levels and three water volume levels to be customizable to the operators needs. The NILFISK-ADVANCE WARRIOR 32D features automatic functions such as single touch button that lowers the scrub deck to the floor.